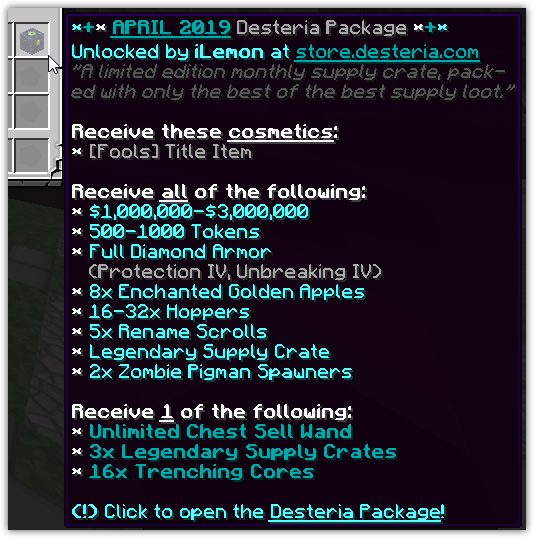 Discussion in 'Desteria Announcements' started by iLemon, Apr 1, 2019. The April DP is now available for one month only at https://store.desteria.com/category/1153174. Limited to one per IGN on only one realm. Intresting, im curious to see how this will play out. Make it $100 so it's $30 with the current sale. Votes used to be tick down the counter globally, but now its per-realm.